The next big thing is small, but…WADUZITDO? A few years back, I wrote a post outlining plans to port Tom Pittman’s Tiny Basic to the Windows Mobile phone (version 5) as well as something called WADUZITDO. I did start that port, unfortunately, life kind of got in the way and it, and other projects, went on the back burner. 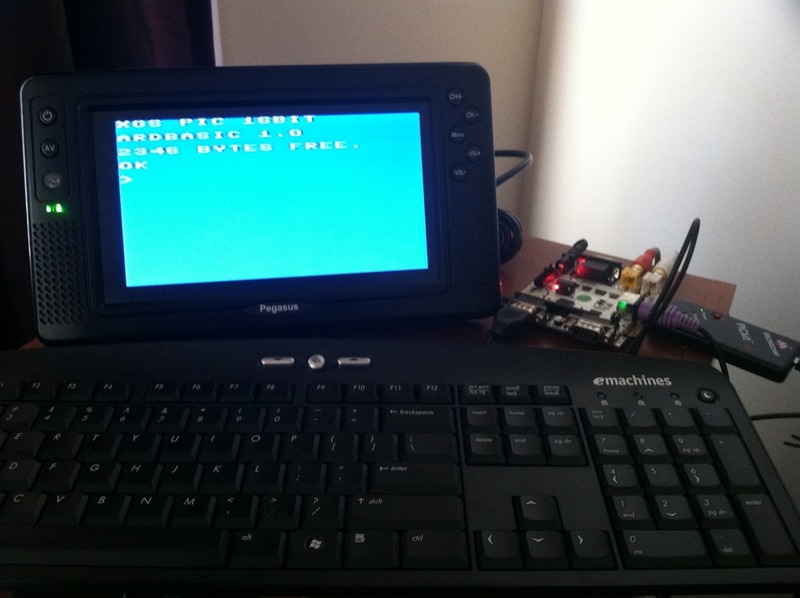 I did, however, port the WADUZITDO language to the TRS-80 Color Computer and QBasic. Unfortunately, the source was lost in my last move. Too bad, too. The CoCo version was cool and was written in Microsoft Extended Basic, which also made it easy to port to QBasic. The problem, though is that that defeated the purpose behind such a tiny language. 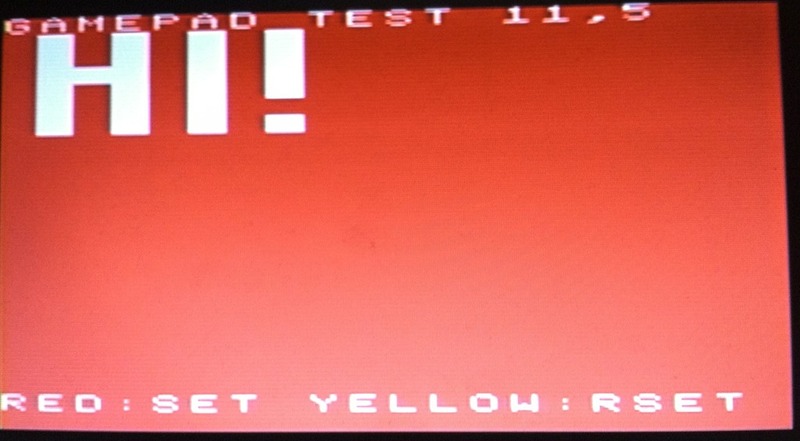 Now that my XGamestation Tiny Basic is almost done (one bug left to quash, the LOAD bug…if you know C and the XGS PIC 16, please contact me) I’m considering putting WADUZITDO on that machine, along with some actual graphics. WAD, as I’m going to call it here on out, is much smaller than BASIC, so I think it will fit nicely with the bitmapped mode on the XGS. My goal is to turn it into something like the old PILOT or LOGO languages. Something that is even easier than BASIC, yet has all of the constructs of a real programming language on a device easy enough to use by anyone. T: PRESS ENTER TO START. There’s more, of course, but I’ll save it for later. I think the combination of interactive graphics and a simple language might encourage younger kids to get involved with programming and not be intimidated. I have a 5 year old that will be my test of this. I hope to start sometime in the next month. Stay tuned! NOTE: please excuse the crudeness of the photos. I am photographing a cheap television screen with my iPhone. I promise better screen caps once I get the video grabber up on the PC I use. 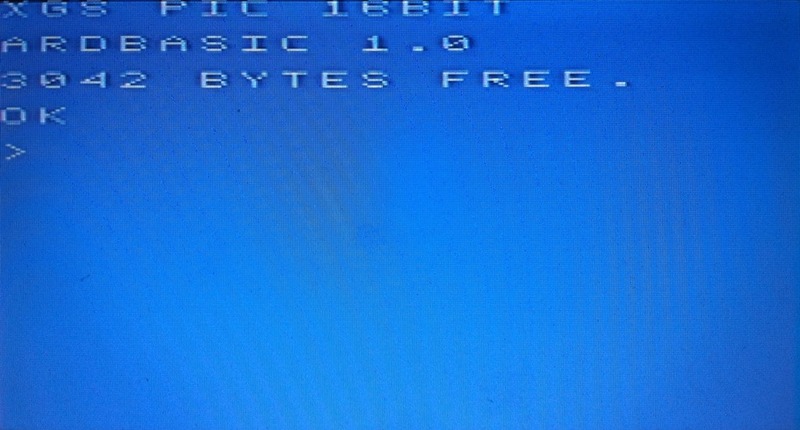 It’s almost ready…XGS ARDBasic 1.0 is about ready to be unleashed on the public. Or, at least, anyone who owns an XGS PIC Gamestation product and would like to program on the device. Since my last post, I’ve had a whale of a time tracking down a couple of showstopper bugs. Fortunately, I have fixed them and, while there is still a bug or two, I can run the interpreter, reliably, on the device itself. The XGS PIC has two gamepad ports. Both are readable via the PAD function. Each button on the gamepad returns a multiple of two, so it is easy to determine which button was pressed. For example, the SELECT button returns 32 for the value, so checking for PAD=32 will let you know if the SELECT was pressed. See the Etch-A-Sketch sample code at the end of this post. Full documentation will be forthcoming, I am still deciding of a few things but should have some kind of document ready in the coming weeks. 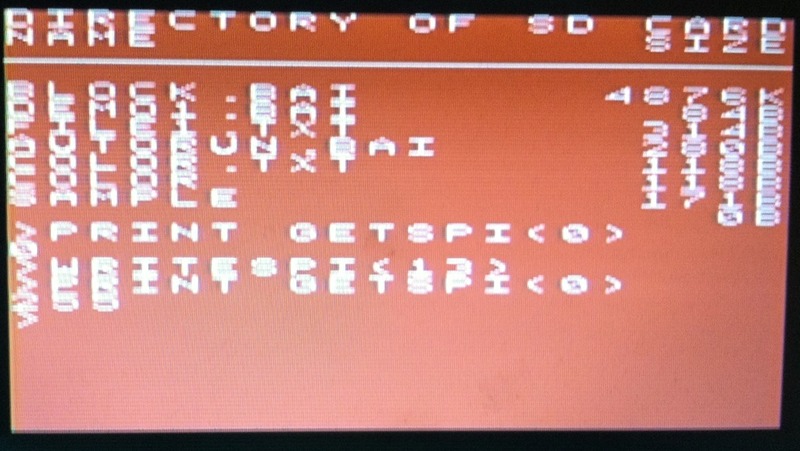 I have added support for the XGS’ SPI port and may add support for other ports as well (like the UART.) I have also changed the RND function, so I need to re-write that part of my document as well. So, holding off on the documentation until I nail down the rest of the design seems prudent. One thing I plan to do, again, at a later date, is to post technical details about the design and some of the issues I’ve encountered (and how they were resolved) with the XGS and the interpreter. It’s been a ton of fun and loads of learning, or, rather, re-acquainting myself with C.
PLEASE NOTE: the comments in the listing above are for the purposes, in this blog, of explaining the code, they are not part of the code. Writing in XGS Basic is a task, but the results, when run on the XGS, can be satisfying. However, the process is a bit cumbersome and the language is incomplete and the documentation was never finished. However, the source code is freely available, so there is a way to fix some of the issues. I am not, however, ready to tackle that just yet. No, instead, I thought I would share my process for writing and then executing code from XGS Basic on the XGS. First, you’ll need a good programmer’s editor and one that, preferably, understands BASIC. I am using Notepad ++. 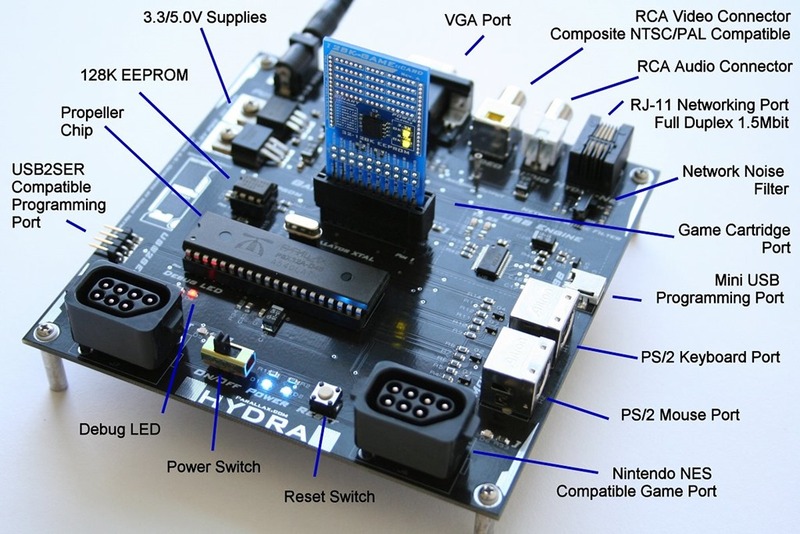 You will also need a micro SD card, which came with your board OR you can use the Serial port on your computer and the appropriate cable plugged into the board. I do not have a physical Serial port on my desktop, so I have a USB to Serial cable. However, Windows 8 does not support the cable. I have to use the SD card method. Next, you’ll need the XGS Basic package. You can download from the XGamestation web site, but it is on the DVD you got with your board. Unzip the 1_5 version to a location on your computer and fire up that editor. Open up a CMD window, you will need this when you compile. Write your source in your favorite editor and save it to the XGS Basic directory where you unzipped the package. Your source will compile, provided you have no errors. If there is an error, you will be told what and where it is. Fix it and compile again. 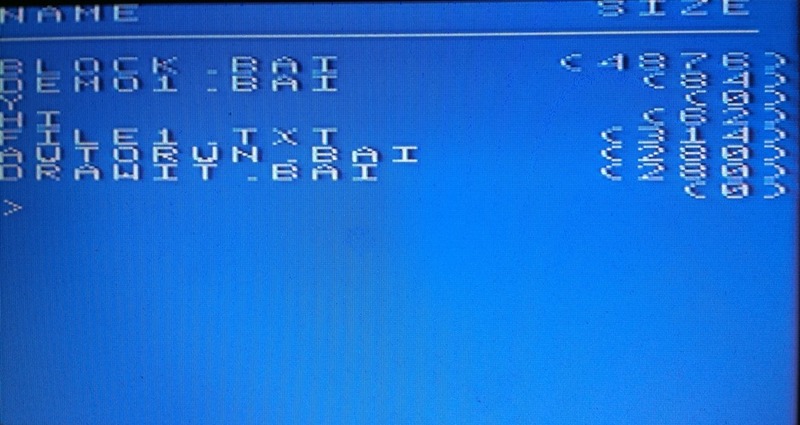 If you use the SD card method, copy the .bai file to the SD card and name it AUTORUN.BAI. Plug the card into the board and turn it on. Your code should execute automatically. Notepad ++ will allow you to automate the compile part, but I like doing things the hard way. I remember the steps this way. I am, by no means, an expert on this board. I am somewhat new to this board, but have a basic understanding (the manual for the board is superb) of the device and how to use it. 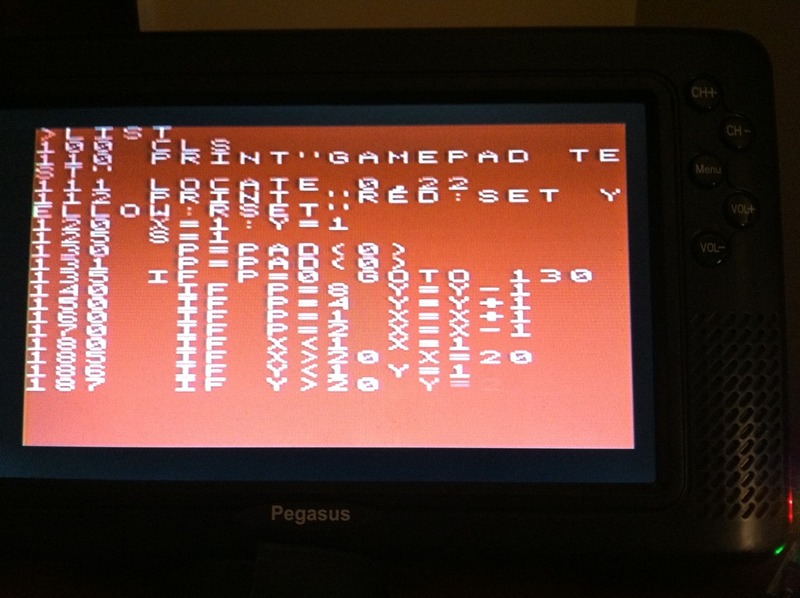 XGS Basic has a few rudimentary functions and statements that talk to the hardware. The most useful, for games, will be the graphics, of course, and the gamepad. The gamepad uses an Atari 2600 like connector, but is internally compatible with the NES style gamepads. They are small, but comfortable and somewhat cheap feeling. Sound is also possible, but I’ll save that for another day. Call CLEAR( 0 ) clears the screen to black and Call TEXT(x,y,text) will display a string at the x,y coordinates on the screen. Simple enough. Now, for the fun stuff. gamepad( 0 ) refers to the ‘player one’ controller while gamepad( 1 ) refers to the ‘player 2’ controller. For our purposes today, we only have a player one controller. PLOT (x, y, color) puts a pixel of color at the x,y coordinates. WaitForVSync halts execution until after vertical blanking occurs. This should be done before drawing to the screen. Most of my demo code is made up of interpreting the gamepad, so lets talk about that. Notice, we get the current state of the gamepad using the ‘gamepad( 0 )’ function. It’s value goes into the variable ‘buttons’. Next, we check to see if the user has pressed the SELECT button and, if so, we goto the label ‘NoMore’ and continue execution from there. Go back and look at the demo code above. Go on, I’ll wait. See how easy it is to interpret the gamepad? Next time, we will take a look at some of the graphics stuff and discuss the two modes available (bitmap and tile) in XGS Basic. Three years ago, I purchased the XGamestation XGS PIC 16-bit video game development kit. 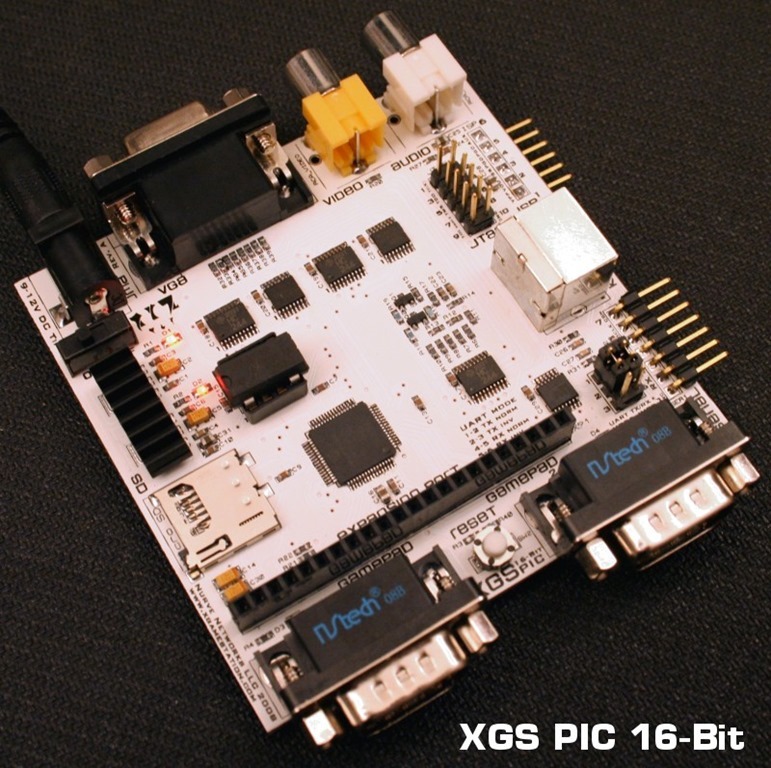 The XGS is a small, 16-bit microcomputer with 8-bit graphics and sound. It uses the PIC-24 microcontroller for its brains. I dabbled with it for a bit and then it got put aside while I dealt with some personal issues. Eventually, it was packed up in a box (I bought a new home) and sat for another two years. Recently, I unearthed the board and its accessories. The software still lived on my main desktop. Surprisingly, everything survived the move two plus years ago and, it still works. So, now I am playing around with some lower level coding on a very unsophisticated computer. 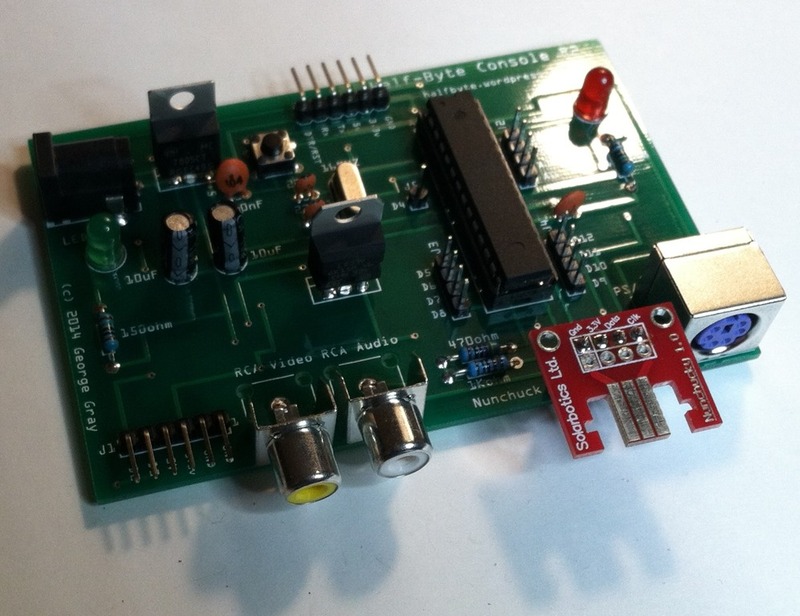 The maker, Nurve Networks (XGamestation) calls it a video game console development kit. I think that might be a bit grandiose, it’s hardly a console but it does fit the bill for development and learning. It is a nice, clean design and fairly simple. After messing around a bit, I had some questions and also wanted to get a second controller, for two player gaming, so, I went to XGAMESTATION.COM. Funny thing happened, though…the web site was pretty much exactly as it was in 2010 when I was actively coding for this thing. I was participating in the forums and communicating with the owner. I went back to the forums and…nothing. There were just a few message boards and few messages. Several links appeared broken or were getting redirected to a nasty page. Worse, many of the downloads were just broken links. It appeared to me that the company was no longer in business. Now, I have to say, I am a bit miffed that a product that I bought with the understanding that a certain aspect of it (the XGS Basic) was promised – and heavily promoted as a feature – has been swept under the rug. The support person suggested I’m wasting my time with it and should use the more documented and better C language. Well, OK, C is nice and they have documented the hell out of developing with C, that’s not the point. The reason I picked the XGS over the other products was because THEY made a big deal out of ‘ease of developing with XGS Basic.’ I figured I would have some fun with writing Atari like games for my kid as well as teaching him some programming and C is so NOT the way to teach programming to someone who is not bit twiddler. And the response from the developer of XGS Basic was NOT what the support person had promised. I think I very mistakenly thought that the developer actually worked for Nurve, but, apparently, he does not and is very bitter and unhelpful. I was thinking I might purchase the company’s ‘Hydra’ product, which is a somewhat more advanced version of the XGS and has an on board development piece. However, I am having second thoughts. I have to wonder how a company can go THREE YEARS without significantly updating its sight and having a customer point out obvious flaws…well, I’m not sure I would trust them. However, the support person did share that some bigger and better things were on the way. So, maybe I will just wait. Web presentation, in my humblest of opinions, is key here. If I had not actually taken the time to email this company, I might have seen the ‘pre-order before Christmas’ (of 2010!) and just left. I don’t know how they have stayed in business with content that has not been updated in three years. At least change the text. There are numerous references to months that are long gone (January in August, etc.) or years that are long gone. It really seemed like they were long gone. As for the XGS itself, I am going to have some fun. I have an idea for a Mario style side scroller that I am going to try in XGS Basic first. I plan to share my adventures, again, with this cool little board, so stay tuned! NOTE: to be fair to XGamestation, I went back to the site and it looks like the issues I spoke to them about are, in fact, gone. The download links seem to work, the hijacked link is gone (but, unfortunately, the feature I was trying to use is gone) and the forums seem to be fuller, but many of the posts are still gone. The support person explained that the forums were hacked, multiple times and that’s why the content is missing. Fair enough. And the support person did respond, very quickly and has been helpful.